Our Community Integrated Rehabilitation program is a hallmark of our functional approach towards rehabilitation. We embrace the philosophy that each individual, regardless of disability, has the potential to live a meaningful life in the community. Significant emphasis is placed on facilitating community re-entry, with hands-on and real-life therapeutic opportunities to bridge rehabilitation to reality. 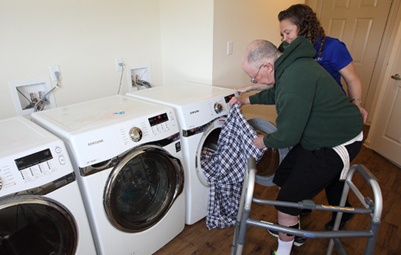 Our Community Integrated Rehabilitation is designed to prepare the patient and family for a successful return home with the highest level of functional independence. We achieve this seamless transition through a combination of therapies, simulated activities and outings, education and training. NeuLife’s team of skilled therapists work with patients, and their family, every step of the way from admission to discharge, each phase of treatment preparing them for a successful reintegration into the community. 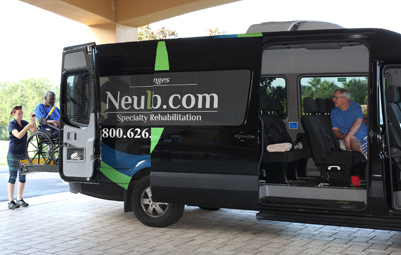 Our team of clinical rehabilitation experts work hand in hand to provide specialized care to each patient. On-site training homes will soon be available to residents as they become ready for the transition into the community. 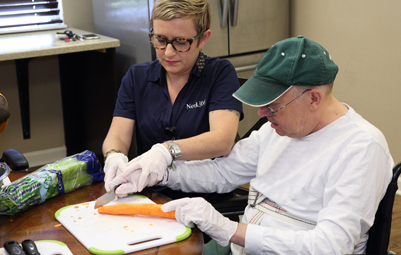 To ensure a seamless transition home, NeuLife is adding ADA-approved, supported living homes. This unique program will provide patients and families with the opportunity to prepare for their return home in a safe and supportive environment. Community integrated rehabilitation simulates a home-like environment for patients and families with the support and guidance of our team of expert clinicians. Our caring staff will also work with family members to learn how to care for their loved one at home. Features of the simulation homes include full kitchen, bathroom and living space.